There's a large majority of new people that have purchased bitcoin for the first time above $1,000 – that's why the price went from $1k to $3k in just a few weeks. It didn't just magically happen. People had to buy at those levels for the price to go up. The same thing happened in 2008 during the financial crisis. A lot of people were buying the stock market at all-time highs. Many of them were doing it because Jim Cramer was pumping the hell out of stocks right before the crash. Then a lot of people sold their stocks when they fell by 50% and missed out on the biggest bull market of the century. If you've been in bitcoin for a few years, then you know how volatile the price can be. Bitcoin's had several bubbles. The beautiful thing is that, so far, after every bubble price has recovered and made a new higher high. So yes, in theory, if you time it right (which is very hard to do), and buy on panics and hold long-term you'd have made great returns. But in today's video we'll look at some very real example of why this isn't so easy. 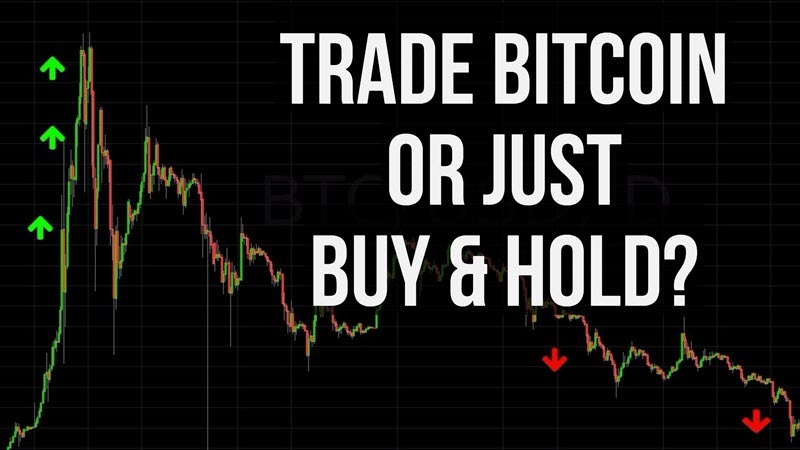 Also, if you want to learn more about trading bitcoin, grab my free bitcoin basics course here.